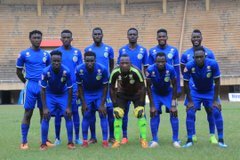 JINJA – Police FC will be hoping they can make it three victories in as many game when they take on Kirinya JSS at the Mighty Arena on Tuesday. Abdallah Mubiru’s side who have defeated both Express and Paidha in their last League games have been flying lately and will hope top scorer Juma Balinya can spur them onto yet another victory. 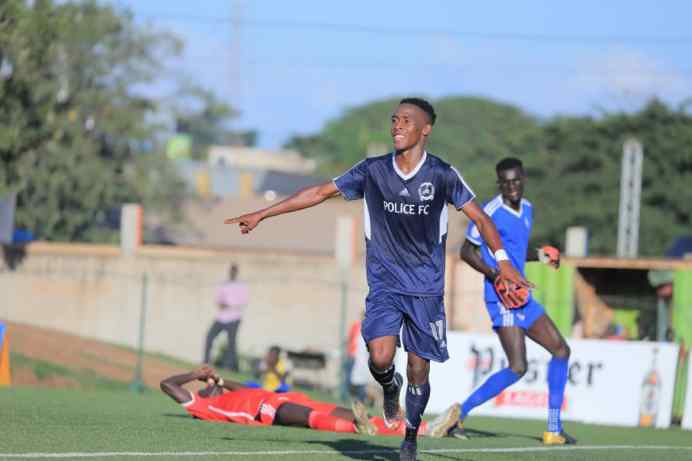 Balinya is currently top of the scoring charts with 11 goals alongside Villa’s Bashir Mutanda and the former has found the net in 5 of his last six League games. However, despite having fifth place in their sights, visit to Kirinya have always ended badly for the Cops, a statistic they will hope to flip come game time. For Kirinya, they are in a trying time currently, having not won any of their last 7 competitive games (D3 L4). Coming off a 0-0 draw away to Onduparaka, the Students who will be without George Kasonko due to suspension, will be confident they can cause a leaky Police defence issues. “Police is a very good high scoring side but also concede a lot, said Kirinya Jinja SS coach Abbey Kikomeko. “We are ready and hopefully, we shall pick our first season of the second round. Police have let in a League high 30 goals so far despite scoring a second best 28. However, they have not conceded in their last two games including in the 1-0 win over Paidha last weekend. This will be the 6th top flight meeting between the two sides ever since Kirinya were promoted in 2016. In the first five, the two sides have not shared spoils with Police winning three and Kirinya two. None of the two have ever won away to the other before. The first game saw them playout a thrilling 5 goal game which saw Police score three. Last season, Kirinya defeated Police 2-0 in the reverse fixture. Going into the game, Kirinya are winless in their last 7 League games (D3 L4). Their last victory came in the 1-0 win away to Paidha at the start of December. However, at home, the Students have not lost in any of their last 6 games (W1 D5). Their last loss was against Onduparaka in October. For Police, they have won four of their last 8 League games (D1 L3). Away from home, they have won three, drawn one and lost three of their 7 road trips this season.